Anyone lucky enough to be in Balla GAA grounds on Thursday evening were treated to a great battle where in the end Balla snatched victory by the closest of margins. Swinford put the first score on the board, however Balla got into their groove and were the better of the two teams for the first half. 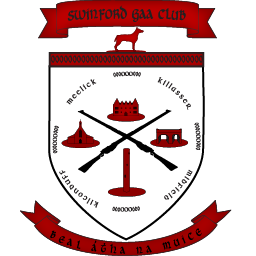 Some positional changes in the Swinford team helped their resurgence and this led to a goal just before the break leaving the scores Swinford trailing at half time 1-02 to 0-10. Swinford started the stronger and continued with this intensity through to the final quarter. Going into the last 10 minutes a crisp passage of play saw Swinford crash the ball low and into the back of the net from 13 yards putting them into the lead by a point. With the final minutes ticking away in what seemed an eternity for the Swinford sideline men the pendulum swung back in favour of the home team and two quick points in succession saw the game finish out Balla being the victors. The Swinford management of Leo Convey supported by Aiden Barrett and Seamus McDonagh were extremely proud of their teams display, the determination and fighting spirit shown and take many positives away from the performance. They look forward to their next game at home to Ballaghaderreen on Bank Holiday Monday evening in the amenity park, throw in 6.30.